Do you have a tiny, sneaky, dog? Have you tried bailing your little fur-friend out of the pound because he escaped and the rangers got him? How about a trip to the vet due to an escaping drama? I know… I know… It’s a lot of stress, and has cost you your time and money, aye? The good news is that you can now get the Tiny Dog Pet Barrier Electric Dog Fence. Want to learn more about Electric Dog Fences for Small Dogs? The Pet Barrier Electric Dog Fence for Small Dogs have absolutely NO SIGNAL BOUNCE! You can even adjust the depth of the signal to give your dog more room to run freely AND... adjust the strength of the receiver collar to make training easy for you and your dog. You can rest assured that we got your back. Three years is such a long time and we are confident that the system will perform very well. This long-term warranty covers fusion damage from lightning strikes and power surges on the transmitter. 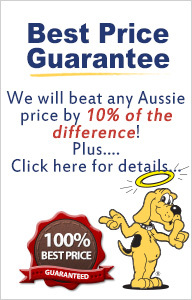 This guarantee from Pet Barrier is very important, your transmitter will go a looong way by hook or by crook... because we know that getting a new transmitter will cost you an extra painful amount of more than $250. Also, your standard receiver collar is covered by this 3-year warranty period but remember that the Premium Collar has a Lifetime Warranty. Chews on your Dog Fence Collar can rarely happen because the Pet Barrier Receiver Collar is made of a very strong material - Polycarbonate. Unlike other dog fence collars in the market that is only made of PVC. However, if your tiny dog happens to have steel-like teeth and jaws… and chew on the collar - we will replace it once. Take note, no other dog fence containment systems include the Chew Warranty on their package like Pet Barrier does. Your Electric Dog Fence kit comes with 1 standard mini dog fence collar and you can upgrade to a premium collar if you wish. PLUS, you can add as many receiver collars if you have big fur family. Now, that Green Earth Wire that you see in the photo above does the magic - ok, not really magic but science - so, that wire runs from your transmitter back to your power adapter which has 3 pins, protecting both devices from fusion damage due to lighting strike or power surges, by taking all excess damaging electric energy away from the transmitter. Cool, aye? If you have a larger property of more than 1 acre, we have the FM1200 system that includes an external surge protector - this is a junction box that better helps protect your transmitter from lightning strikes in wider coverage. This kind of protection is REALLY important because it saves you from spending a painful amount of more than $250 just to get a new transmitter. Good thing, your dog fence containment system has the power surge protection technology PLUS the 3-year warranty that includes lightning strikes and fusion damage. Thanks to Pet Barrier! Unlike any other dog containment systems, Pet Barrier has built a spell in the transmitter. Actually, we call it Frequency Modulated Digitally Modulated (FMDM) radio frequency - quite long for a spell, right? I bet Harry Potter does not know this. Breaking down the spell - this means that since your Electronic Dog Fence system has a uniquely coded digital FM radio signal, it will NOT interfere with other radio signals from other electronics - protecting your dog from getting wrong zaps. You can even let your dog come inside the house while wearing the electric dog collar - the radio signals from the dog fence system and from the TV, cellular phones or other devices won’t recognize each other. If your neighbour will also get a dog fence system, yours won’t interfere with the radio signals next door. • A standard mini dog fence collar has 5 levels of stimulation which you can adjust according to your dog's training needs - this collar is covered by the manufacturer’s 3-year Warranty. • A premium mini dog fence receiver collar, on the other hand, has 8 levels of stimulation and is covered by a Lifetime Warranty. • The lower levels in the premium collar are great for training more timid dogs and the higher stimulation levels are best for training stubborn dogs. • Both premium and standard receiver collars are covered by the first in the industry, one time Chew Warranty. • You can add as many receiver collars as you needed in a single dog fence kit. • You can even include your wandering cat (using the tiny, sleek receiver collar) in this containment system for small pets. Our Pet Barrier Electric Dog Fence Boundary Wire is coated with a high-density polyethylene thermoplastic (HDPe) to withstand the scorching Australian sun - the wire has a 20-year UV rating. So, you can just hang it on the fence… but if you decide to bury it, you won’t have to worry about gardening around it since the wire is too TUFF and it’s almost impossible to break - thanks to the tuff HDPe coating the 7 strand 1mm copper core wiring. Still worrying about wire breaks? Save the worry because your transmitter is designed with the “Wire Break Alarm” - this will sound off and notify you to better secure your dog and fix the broken wire (which rarely happens). How Does the Static “Shock” from the Electric Dog Fence Feel to My Dog? Have you felt that annoying force when you suddenly rub your feet on the carpet? How about when you hastily touched that cold and dry door knob in the kitchen? That’s how it feels on your dog - it’s never painful but it sure is annoying - enough to deter your dog from going near the boundary wire, efficiently solving that dog escaping problem. The highest stimulation level that you may set will feel like a TENS machine (Transcutaneous electrical nerve stimulation) commonly used by physiotherapists for therapeutic purposes on the nerves. So, the static stimulation on your Electric Dog Fence does not cause any pain nor harm on your dog. It's Easy to Buy a Dog Fence... But Is It The Right One For You? Getting the RIGHT dog fence for small dogs is important but knowing how to get it could be tedious. The Dog Line can hold your hand by giving you an expert and FREE advice on what electric dog fence to buy. We compiled a comprehensive dog fence buying guide to help you learn more about the different dog fences available to you. When you avail one of our dog fencing kits, you get a 7-day helpline support. With our Pet Barrier electric dog fences you can give your small dogs all the freedom of the back yard with a safe radio signal to keep them away from the fence - you get full control over the dog fence radio signal and the receiver collar which is fitted well to your small dog. 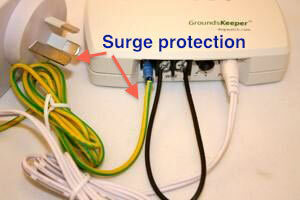 Ready to Be Amazed By the Electric Dog Fence for Small Dogs? Click the Dog Fence Quote button below and receive your FREE quotation with an expert advice from me! I can't stress enough how important it is for us to know the details of your dog problems, fencing needs and property specifications so we can give you the RIGHT electric dog fence. You can also directly speak with one of our staff or myself, by calling our 7-Day Helpline 1300 THE DOG (1300 843 364). We will be happy to help you with your enquiries.